The KidsFit Junior Ab Crunch Machine is designed to help middle school aged kids get fit. It has a compound movement using the arms to create a crunch that works the abs. This unique design is a fun alternative to sit ups. It has a purple powder-coated finish and comfortable, cushioned seat with back support. Safe and convenient, this machine has protective coverings on all cylinders and built-in wheels for easy mobility and storage. Call 1-800-875-9145 to speak with one of our fitness advisors with any questions you may have. How do we put a price on our kids overall wellnes and their future - Go to FitnessZone.com today to order the KidsFit 314 Ab Crunch Machine and let's give our kids the advantage they deserve. 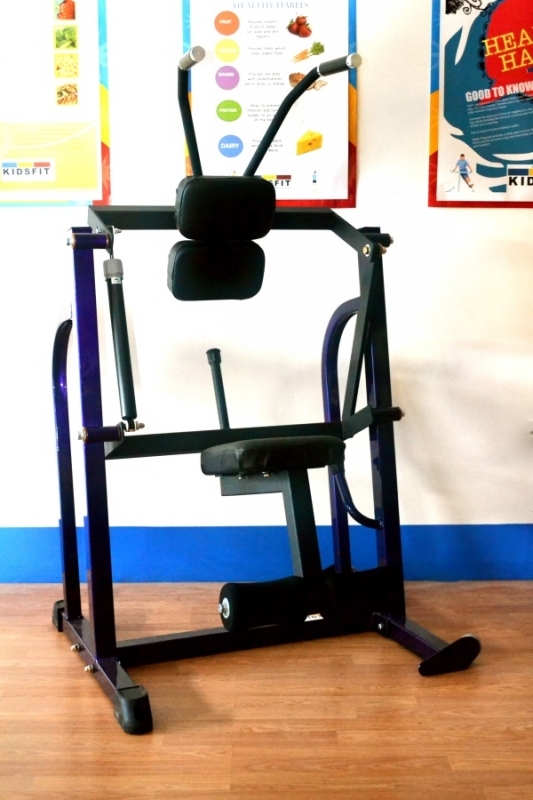 Order your KidsFit 314 Ab Crunch Machine from FitnessZone.com today!